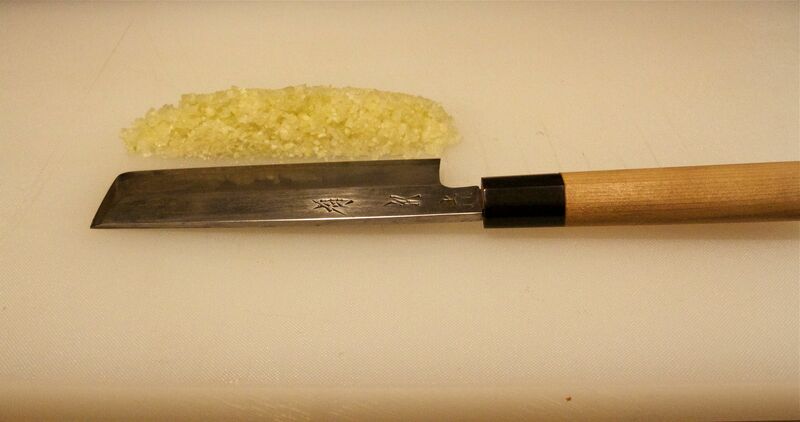 The knife technique in Japan used is push-pull and is not the same technique used in the west which is more sawing styled. So if you decide to buy a Japanese knife beware of the changes needed, no pull, just push. Remember the greater force could result in tearing or bruising of the flesh.